blind men and elephant fish 맹인들과 코끼리 물고기: News from the Beach from Antoine! News from the Beach from Antoine! My name is Antoine – or more recently M’bewe, as friends from the next village have decided to nickname me. These days, I can hardly make my way to the market or the fishing village without stumbling across a cheering crowd of friendly yet noisy Malawians shouting out my new name all over the place… Not to mention the soothing chance meeting with a quiet and respected elder or the occasional encounter, not so soothing, with countless hordes of exhilarated kids with marveling eyes and hearty laughters. 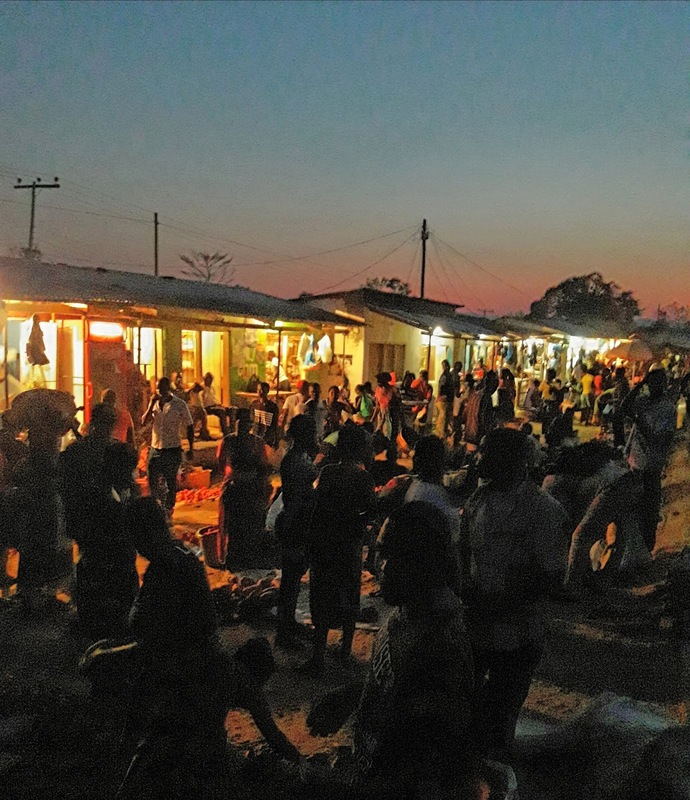 This is Malawi, the ‘‘warm heart of Africa’’ – and it’s been quite a ride so far. It’s been one month since I arrived in Kande Beach to meet with Justin, the happy owner of the Maru Research Center, and start working with him as a research intern. 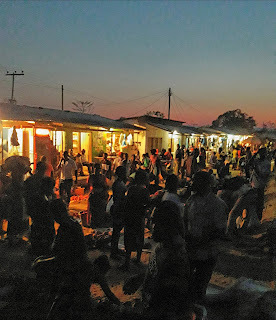 The ‘‘Maru’’, in the local language of Chitonga, is a place where each and everyone can meet and exchange ideas. Over the years, Justin has strived to make this place just what it’s supposed to be. 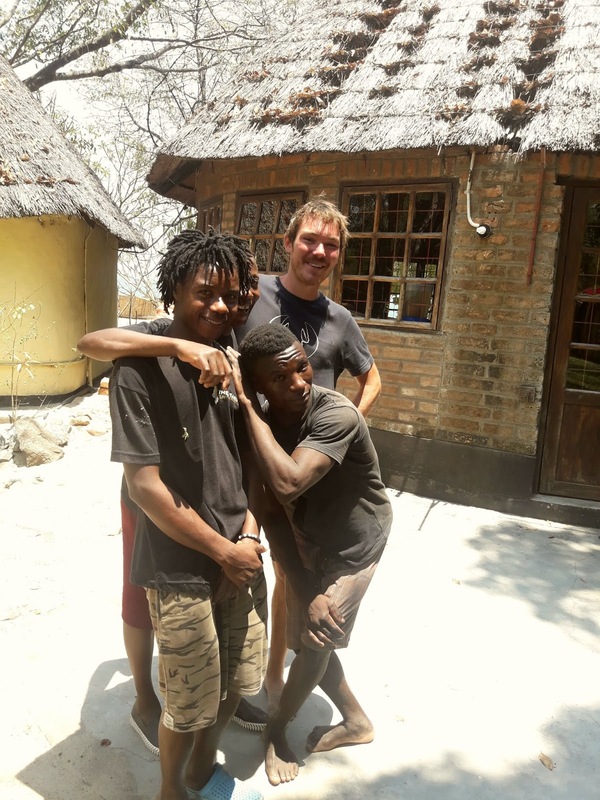 In collaboration with the fishing community that relies on Lake Malawi and its resources, his ongoing goal is to better understand and promote the lake’s tremendous – yet understudied – biodiversity. 8 am, time for breakfast (on lucky days, there might a nice pile of pancakes in the kitchen just waiting for you). With a full belly, I can safely get on with my first mission of the day – the River Monitoring. Three times a week, we go and measure a variety of physico-chemical and biotic parameters in the nearby rivers. The objective is to assess a baseline for the quality of the water that ultimately flows into the lake, while keeping the Fisheries Department and Mzuzu University updated. After gathering my measuring instruments and my insect net, I start heading for Mazembe river – a 40-minutes walk along the lake shore. 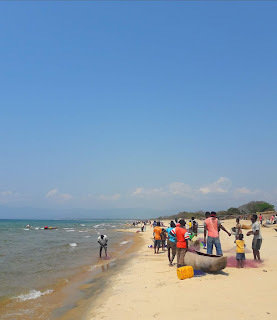 On my way, I will likely stumble across many people on the beach: locals bathing, doing their laundry or simply having a walk, women carrying fish to the next village, children playing with rusty bikes or flying homemade kites. I finally get to the river mouth – time to get to work! I pull out my instruments and start measuring the air and water temperature, the pH and the amount of dissolved particles in the water. Then I grab my net, plunge it into the river stream, pull it out, and start counting and identifying the different varieties of insects I’ve been able to catch. 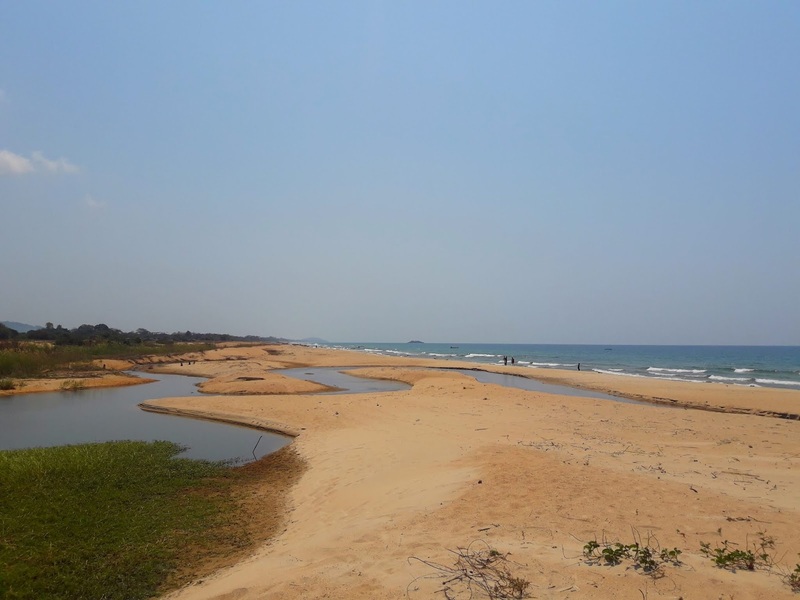 Following a methodology that is consistently used in African countries, I take a look at the ‘‘ecological score’’ derived from the data I’ve just collected: the river this week is almost in its unmodified, natural state. All good then – ‘‘Hakuna Matata’’, as they like to put it here. I start packing up my stuff, cruising past a herd of cows as I make my way back home. On the way back, I reach the fishing village of Masukuhunju, which we are working with. Fishermen are just coming back from their night hunt… About 60 of their fishing canoes are scattered onshore, some of them bursting with exotic, strangely named fishes – Gongo, Utaka, Chisawasawa, Kampango, Nkholokholo… In the distance, I can already catch a glimpse of the happy faces surrounding the boats – men and children together, helping to clear the fishing nets out of the boats. Now is the time for my next mission: the Fisheries Monitoring. The point of my daily trip to the fishing village is to monitor fish catches, the yield and species composition – again, as a baseline for the lake’s fish resources and the fishermen’s livelihoods. Armed with a bucket, a bowl and a scale, I get closer to one boat surrounded by a team of workers and start engaging conversation – quite surprisingly, ‘‘How is fishing?’’ is a hell of an ice-breaker. Quite often, small talk can give you some precious insight on the life in the village and its inhabitants. After a few chitchats I ask, innocently enough, if I can put my bucket in their boat and weight their fish. Virtually every fisherman here will be glad to let you – Justin has been around for 8 years now and the locals have learnt to know and appreciate him. Not to mention I’ve been around for one month now and have learnt to know and appreciate a bunch of them as well! I can start filling my bucket with bowls of fish, weighting them and trying to estimate the catch composition and the amount of net yet to be removed. This daily task is as much about keeping track of fishing activities as maintening the link between the Maru and the fishing community. It can be a pretty intense work, that gets you to engage with the locals and leaves you with your hands dirty and smelly with fish. Certainly beats the office. 12 pm, time for a well-deserved lunch. As usual, we get to eat the local dish, the traditional greens, beans and sima – a dough of maize bran mixed with water. Basically the local version of bread for me, which I need at every meal in my home country – can you guess which? I share my meal with Justin and three Malawians working at the Maru: Joyce, Douglas and Chimbavi. A few words on them. Joyce is the Center Manager and also our cook – I should say chef, really, to give credit to her ability to take a bunch of basic ingredients and somehow always turn it into something tasteful. Dinner time is when she can express her full creativity – ask her for her special burrito. She takes care of every volunteer coming here, often gives wise advice and has some great stories about local witchcraft… I insist though, ask her for her special burrito. Douglas is my diving buddy, working his way to become a Dive Master. He’s also my volley ball buddy, which we play every day or so, and might quickly become my buddy for all kinds of other stuff. Not exactly the talkative type – yet he’s a great deal of fun when you get to know him. Chimbavi is the last, the caretaker of this place. 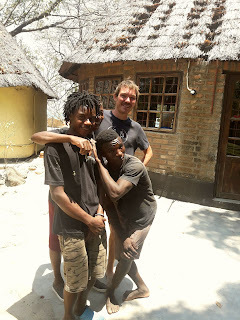 The extent of his English being somewhat limited to a few (short) sentences, we mostly communicate by means of body langage, suggestive facial expressions (lots of winks), Malawian interjections and a fair share of bursts of laughter. I like the three of them very much. 2 pm. Justin steps into the kitchen. ‘‘Ok, dude, get your gear together. Time for diving.’’ Oh boy, now we’re talking. I start heading towards the equipment storage room and, smiling with anticipation, I ‘‘get my gear together’’: BCD jacket, air tank, regulator, weighting belt, wet suit, mask and fins… This is the time for our Fish ID Survey. For eight years now, the Maru has been regularly monitoring a representative number of fish species in the northern part of the lake. As far as Justin knows, he is the only one to keep such track of the lake’s biodiversity – despite its countless endemic species and the growing threat of overfishing. Once our gear is all set up, we hop on Justin’s motor boat, start the engine towards Kande Island – 800 m from the shore – and start diving. As we reach the bottom, we start installing a 50 m transect line, get our slates out and start swimming along, recording every fish we see that we are keeping track of. Over the weeks, I’ve started to grow familiar with them: I have learnt how to distinguish them and to make sense of their distinctive shapes, features and behaviours – and I have my own favorites. Once you are qualified to dive and Justin is confident enough in your ability, he pretty much leaves you to carry out all aspects of this research, which is quite nice. On other days, we have been diving with kitchen knives to get rid of the nets entangled in the rocks and release the occasional fish. It might not be the proper technical term, but I like to call them ‘‘rescue dives’’. I have learnt diving here in the first weeks after my arrival, with the help of Justin as a dedicated diver and a benevolent teacher. Like may others before me, I think I’m getting hooked to it. 5 pm. 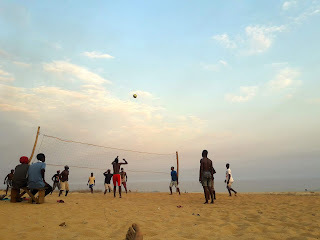 Let’s call it a day… I meet up with Douglas, and we head for the beach to enjoy our customary game of volley ball. And what games they are… On a good day, few words can describe the effervescence of a volley ball game in this very specific part of the world – the cheering crowd, the electrified players, the clamors of indignation and the sincerely dishonest claims when it comes to decide if the ball was in or out this time… In the midst of all that agitation, I seem to be the only one to notice the peaceful view of the nearby lake – Kande Island in the sunset, and the fishermen sailing in the far distance. Tonight, I might stay here and play pool at the bar from the lodge next door – or I might just get out in the village, have a game of bao with Wise Man – a well-named local vendor – before meeting up with Banjo and his family to share their dinner at home. I’ve been in Malawi a month already and every day still feels like fresh and new somehow, bringing its own share of surprises, challenges and wonders. Justin fully encourages you to integrate and immerse yourself in the local community and culture whilst you’re interning, which is great. You get the chance to live right next to the village and its people: just get out there, and see what happens. Just learn a few local greetings – people here genuinely appreciate even the smallest effort to try, and most of the time you will be rewarded with king-sized smiles and cheerful answers. Some other times you might feel the cultural gap to be somewhat confusing or even unsettling. In any case, you will always learn a great amount in the process and get something good out of it. Recently we have been working on a new project which I find very promising. Overfishing has become a growing concern for the fishermen, and we want to address that issue together with them. Our objective is to set up brush parks in the lake to enhance fish production. 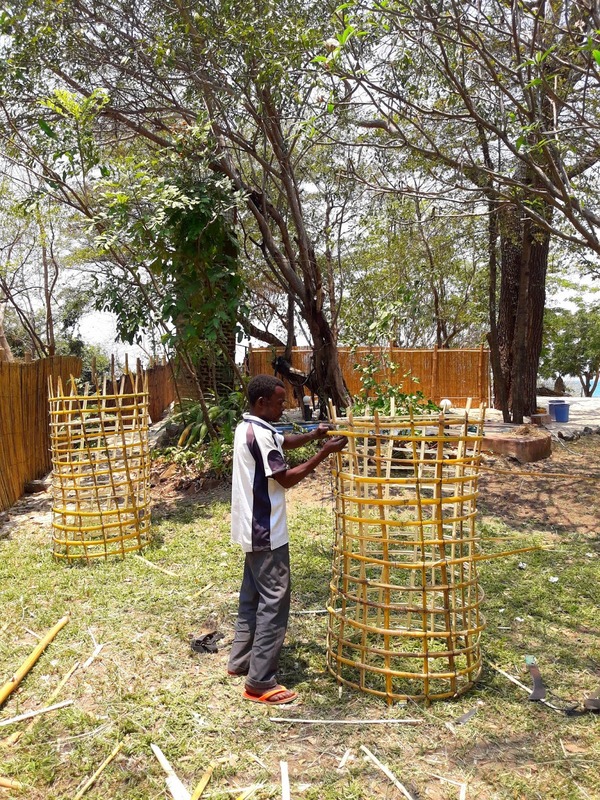 In our case, those are structures made out of bamboo that could act as an artificial reef, provide sources of food and refuge for fishes and be used as breeding, spawning and nursery areas. 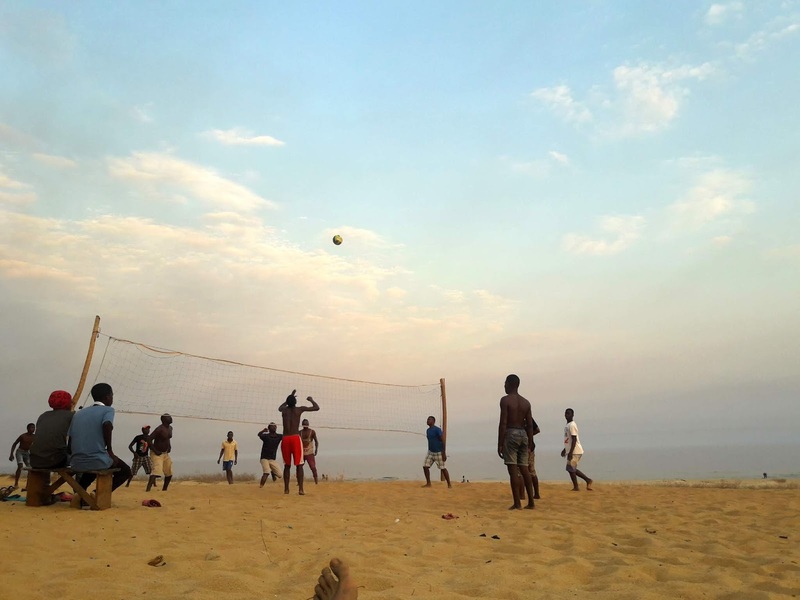 I have just been through a literature review of the use of brush parks around the world – in other African countries but also in Bangladesh, in Mexico and in southern parts of the Lake Malawi. All the methods developed so far require the structures to be removed before harvesting, or to come up with new elaborate, intricated fishing techniques. To try and do better, we want the fishermen we are working with to be allowed to keep on using their traditional gear and fishing techniques. 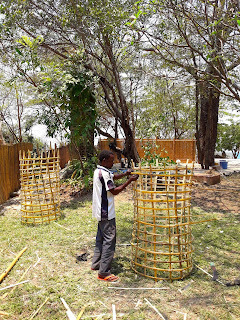 As of now, we decided to experiment with a new design – a series of rows of cylinders made out of bamboo, whose shape was inspired by the local chiteti, a large basket used to carry fish. We are just done with the construction of our first experimental structure – with the help of a villager I recruited last week on my way to the market. Time to try it out! This afternoon we went underwater with Douglas and Justin to put that thing in the lake, anchored at the bottom. Let’s wait and see if the structure holds in place. If it does, it will be time to start monitoring the growth of algae and, eventually, investigate the impact on fish population. Until we can set up, hopefully, an extensive brush park… To be continued? We played with a guy in a toy on the phone, poker or something else and decided to add a bit of extras. We visited this site. steady online casino gambling sites We had a lot of fun and had an unforgettable time, plus we won a little for a romantic dinner.